Cleveland, Ohio (October 4, 2017) – Howard Hanna Real Estate Services, the third largest real estate company in the nation, is excited for its biennial “HannaCon17” convention. On October 17 and 18, sales agents and employees will flood downtown with green and gold as the company takes over the Huntington Convention Center of Cleveland. 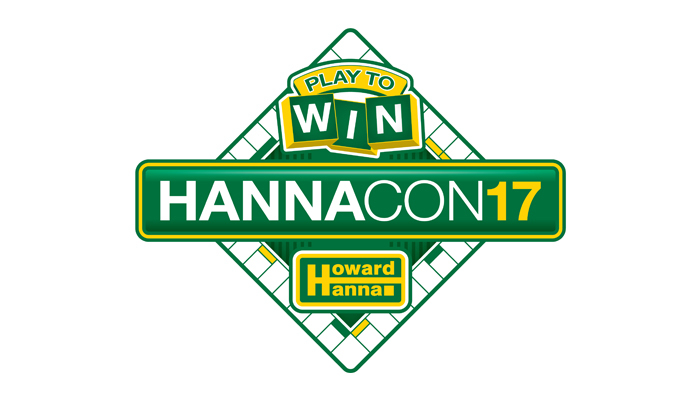 For two days, over 3,000 attendees from the eight states in which Howard Hanna does business will gather at this year’s convention to “Play to Win” at one of the biggest real estate events in the nation. Sales associates will have the opportunity to leverage a suite of business tools designed to help them succeed at the highest level. Each day will include agent panels and breakout sessions covering various real estate topics, unique offerings from leading technology and marketing companies, and a general session featuring respected industry speakers. There will be Hanna-themed merchandise for sale, and attendees will also have the opportunity to “come on down” to win prizes and even trips. This will be the second time that the company has held its convention in the heart of downtown Cleveland. Howard Hanna looks forward to giving back to a city that has done so much for the company throughout the years and is partnering with many local businesses to make HannaCon17 a success not only for its own sales associates and employees, but also the economy of Northeast Ohio. Howard Hanna Real Estate Services is the 3rd largest real estate company in America, the #1 privately owned broker in the nation, and the largest home seller in Ohio, Pennsylvania, and New York. The family-owned and operated real estate company specializes in residential and commercial brokerage service, mortgages, closing and title insurance, land development, appraisal services, insurance services, corporate relocation and property management. With 259 offices across OH, PA, NY, VA, MI, WV, NC and MD, our more than 9,000 sales associates and staff are guided by a spirit of integrity in all aspects of the real estate process.